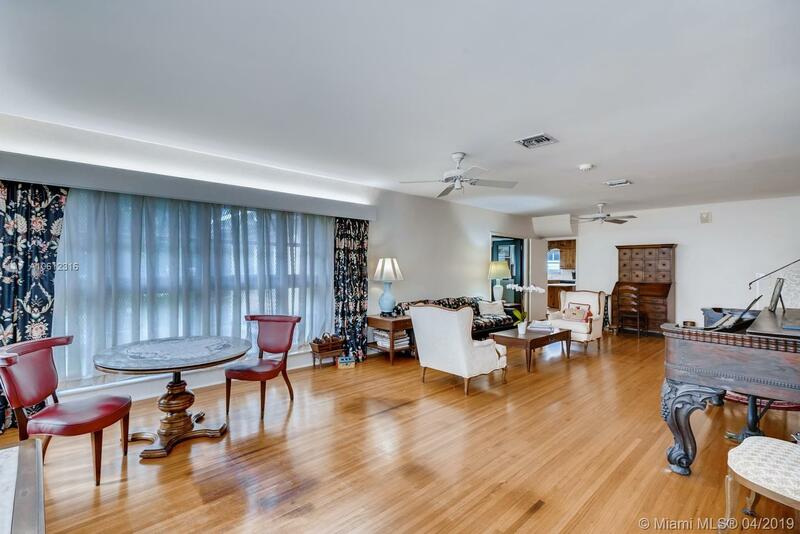 MID CENTURY 4 BED/3.5 BATH HOME IN PRIME MIAMI SHORES LOCATION ONE BLOCK FROM THE BAY. CUSTOM BUILT IN 1951, THE SPACIOUS AND OPEN FLOOR PLAN IS GREAT FOR ENTERTAINING. ORIGINAL RED OAK HARDWOOD FLOORS. 2 BEDROOMS/2 BATHS ON ENTRY LEVEL AND 2 BEDROOMS WITH JACK/JILL BATHROOM ON SECOND FLOOR. LARGE FLORIDA ROOM ACCESS SCREENED PORCH/PATIO WITH ROOM FOR A POOL. NEW CENTRAL A/C SYSTEM ON FIRST FLOOR LEVEL. VERY LARGE KITCHEN WITH STAINLESS STEEL APPLIANCES & COOKING ISLAND. ATTACHED 2 CAR GARAGE. GENERAC GENERATOR. UPDATED ELECTRIC SERVICE. ACCORDION STORM SHUTTERS + SOME IMPACT WINDOWS. LOTS OF EXTRA STORAGE SPACE. FULL SECURITY ALARM SYSTEM.